Microsoft recently released Windows 10 Creators Update(Redstone 2) build 14986 for PC, which brings tons of new features. Cortana also received new features with this insider build. The latest Insider build also brings UI improvements to Cortana. 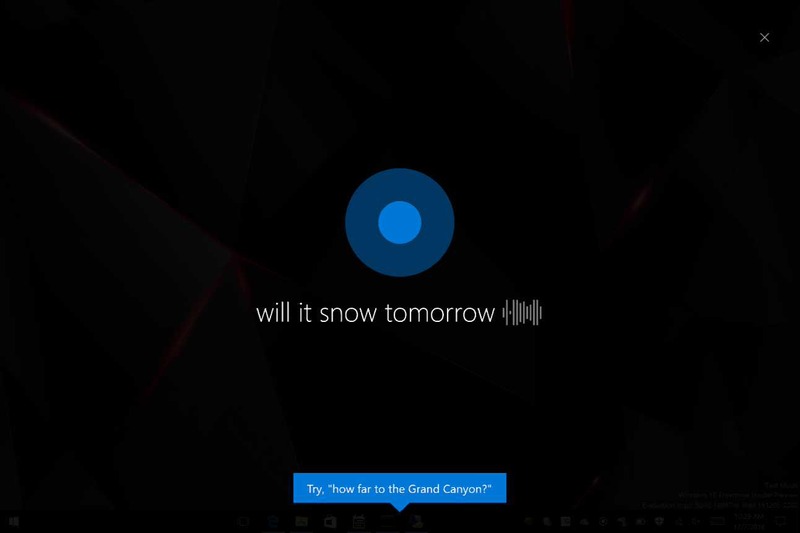 Now Microsoft’s digital assistant go full-screen if you say “Hey Cortana,” when your PC is unlocked and idle. The Cortana will only go full-screen if the device is idle for 10 seconds. The new full-screen mode is similar to Cortana above the Lock screen. Apart from this, Microsoft’s digital assistant received more abilities to control music playback on more apps. Now, you can use your voice to control your music on iHeartRadio and TuenIn Radio. However, the functionality is currently only available for users in the United States. Cortana can now remember the last app you used to play music, so you don’t have to repeat the name of the app every time. Windows Insiders can try all these new features in Build 14986. Check out what else new in Insider build 14986.